Salade Niçoise | Mmm, Tasty! 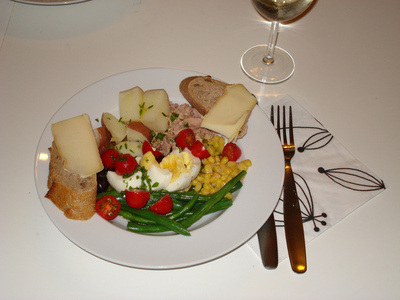 Salade Niçoise reminds me of our honeymoon in Paris. 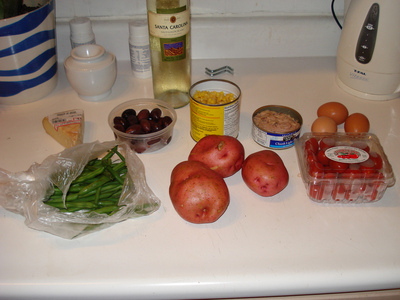 This one’s after the cafe-style ones we lunched on there: composed, with canned tuna, not tuna steaks or anchovies. A great summer dinner but not a low-effort one. We used this vinaigrette (uh, citronette? ).